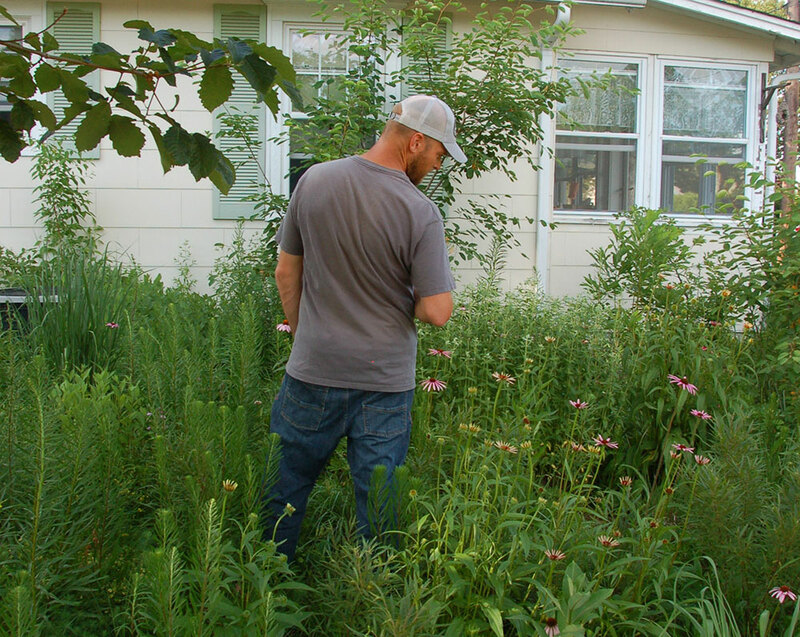 Jason Austin purchased a home in Pine Beach in 2005 and began using his own yard to test-grow native plants before adding them to his nursery’s catalog. 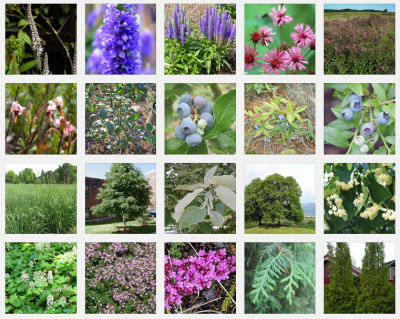 Jason Austin is passionate about native plants. 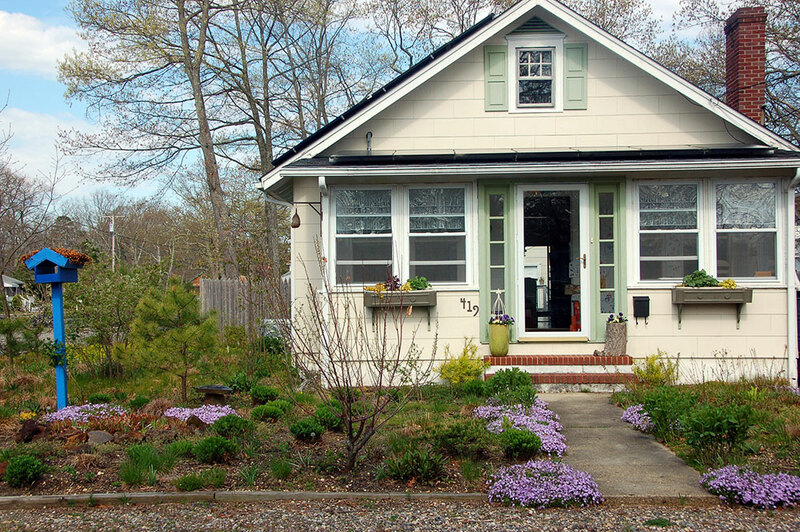 He has transformed his Jersey Shore yard from a sandy lot into a colorful, attractive, low-maintenance landscape of natives, and he offers his native plant expertise to others through his landscaping business, The Little Plant Company. Jason credits several professors at Delaware Valley College, where he graduated with a Bachelor of Science in Ornamental Horticulture, with motivating him to study native plants. He was also inspired by field trips to Island Beach State Park, Double Trouble State Park, and other Pinelands destinations, where he was intrigued by the unique flora of New Jersey’s special eco-regions. Jason Austin inspecting his lush, mostly native landscape. After graduation, Jason moved to New Jersey to work for growers who were starting to offer native plants, and he became an expert at growing perennials and native species. As manager of the growing operations at RareFind Nursery, he expanded the nursery’s stock of native species, including a specialty in carnivorous plants for bog gardens. 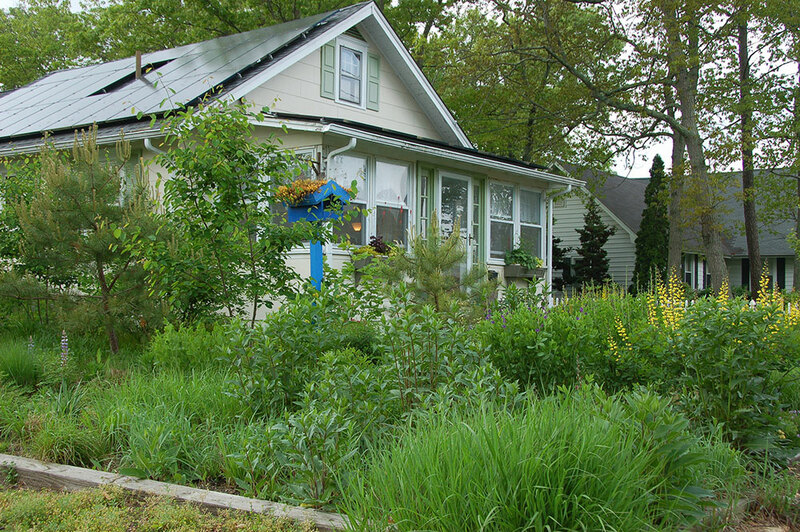 When Jason purchased a home in Pine Beach in 2005, he began using his own yard to test-grow native plants before adding them to the nursery’s catalog. 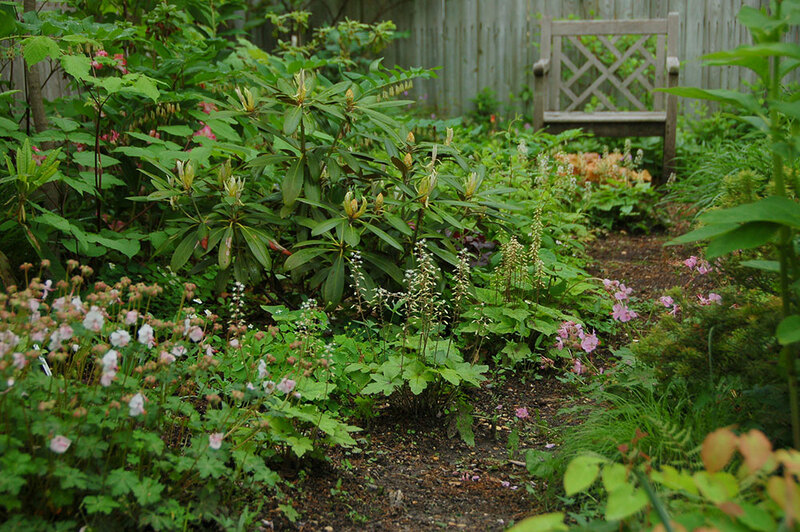 By experimenting in his own yard, he gathered valuable local growing information that he could pass on to nursery customers, such as which plants take longer to get established and which are self-seeding. 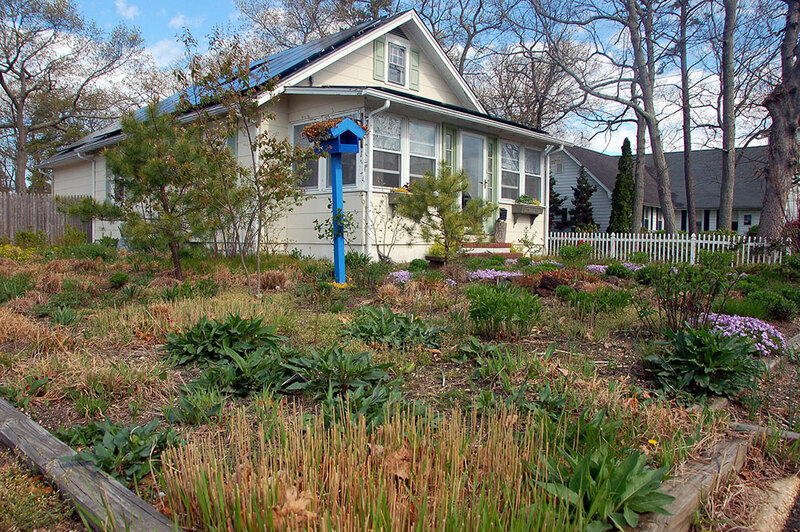 Jason transformed his once sparse front lawn into a garden of perennials providing color from early spring to late fall. 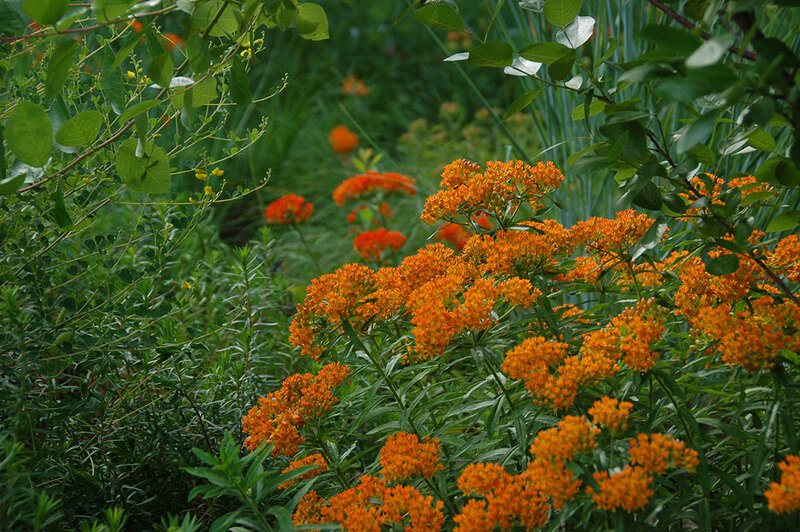 Along the way, Jason transformed his once sparse front lawn into a garden of perennials providing color from early spring to late fall. 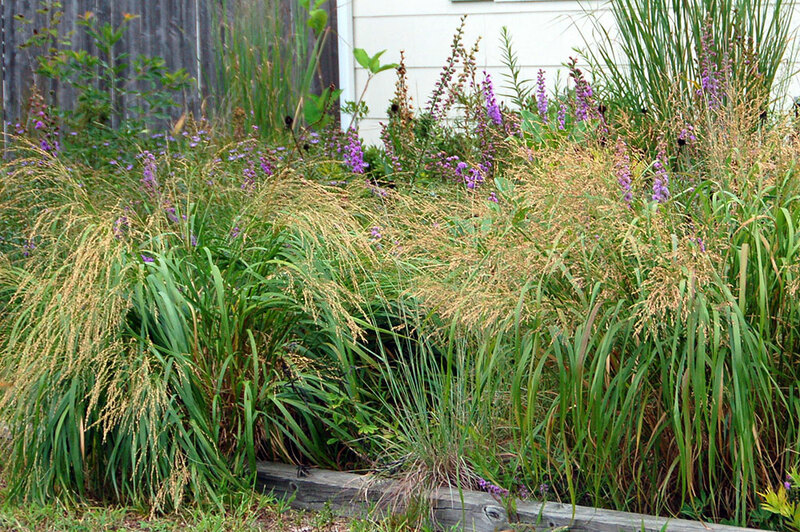 He selected species adapted to the sandy and dry soil conditions in his coastal yard – including Beach Plum, Serviceberry, Blazing Star, Little Bluestem, Goldenrod, and Aster. 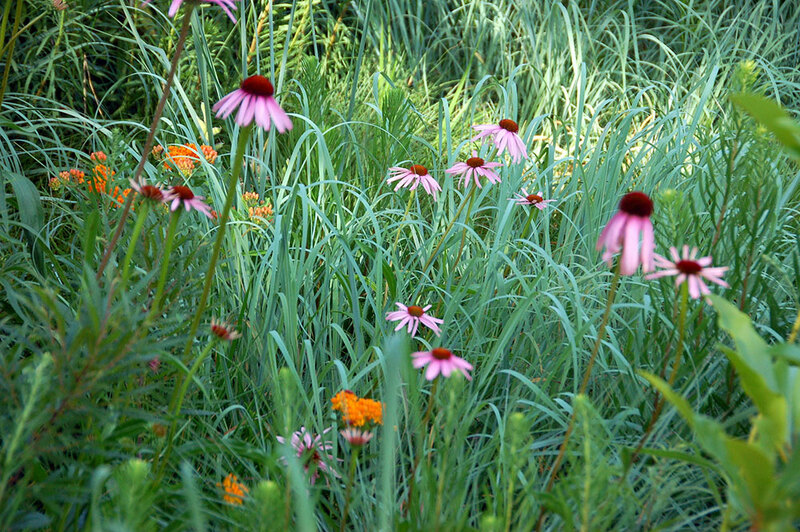 While the grass in his yard had struggled to grow, the native shrubs, grasses, and flowering perennials which replaced the lawn are thriving. His lawn had required constant watering during the summer, but now Jason only has to water the native garden once or twice a year, only on days with the most extreme heat and drought conditions. 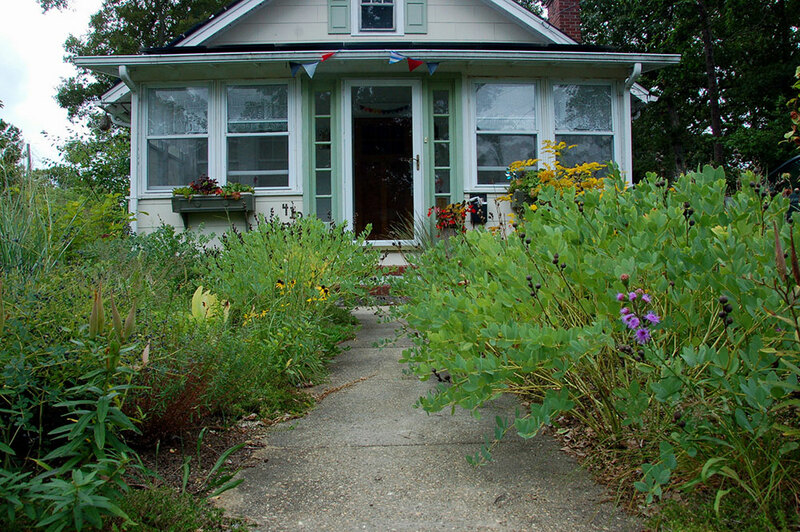 The switch to natives also eliminated other time-consuming lawn maintenance chores like fertilizing and mowing. With his extra time, Jason enjoys the birds, bees, butterflies, and other wildlife attracted to his native landscaping. 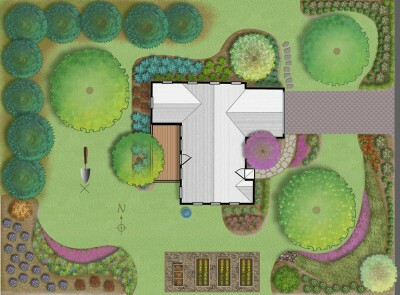 Jason’s advice to a homeowner looking to transform a yard is to “work with nature – get to know the conditions at your site and both the opportunities and constraints there.” Jason says, “Make a plan, start small, and tackle a section at a time. Remember all new plantings, even natives, will need some watering and care in the first year or two to get established.” And Jason’s final advice – experiment and have fun!